The Tatewari Spa at Villa del Palmar Flamingos, Nayarit, Mexico is a world class spa that treats its property owners and visitors with some of the most indulgent spa treatments in Mexico. There’s no better way to spend a vacation than giving yourself a refreshing and relaxing spa experience that will soothe your senses. A place for total relaxation with modern amenities that ensure that everyone enjoys a totally luxurious spa experience. Set in an expansive area covering 17,000 square feet of wide and comfortable space, The Tatewari Spa leads all contenders in the field. Names after the Huichol Indian god for healing, the Tatewari Spa at Villa del Palmar Flamingos lives up to its billing as a healing facility for the body, mind and spirit. The hotel spa has two hydrotherapy centers that separate the men from the women plus a list of facilities that include a cold plunge pool, large warm Jacuzzi, hot and cold showers, steam room and sauna. A well trained team of professional staff is there to take care of your every need. There are 14 treatment rooms available for personalized services as well as couples massage rooms. You can also enjoy one of two VIP suites that are equipped with a shower and a Jacuzzi, perfect for those special occasions for pampering. After your spa session, you can also take advantage of the full service beauty salon, to add those extra touches to your look. The Tatewari Spa at Villa del Palmar Flamingos is such a comprehensive facility and a one stop treatment center that will cater not just for your inner healing, but your overall physical look as well. One of Villa del Palmar Flamingos’ trademark spa services is the Tatewari Signature Spa Ritual. A no nonsense way of letting you feel like a king or queen for a day by giving you the traditional Huichol way of healing that totally relaxes the mind and soul. 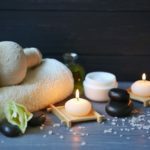 This spa treatment totally pampers the body with different massages, a soothing facial and a unique body treatment that set your mental state to become sharper and wiser while your body relaxes like jello. Another heavenly treatment available at Villa del Palmar Flamingos is the spa’s Pacific Ocean Pure Body and Face Revival Therapy. A long therapeutic session that lasts a total of 85 minutes, wherein you’ll undergo treatment both of the body and face. It uses an ancient method to make you feel lighter and younger by applying Ayurvedic hot oil, hydra dew with a set of steaming stones working to give you that deep moisturizing feel. It does wonders for the skin and it seems to give a special protective layer against harmful natural elements. It also brings pleasure to your senses and uplifts the spirit. This systematic and balancing spa treatment carried out within Villa del Palmar Flamingos’ state of the art facility is what separates the Tatewari Spa from all the other spas in Riviera Nayarit. 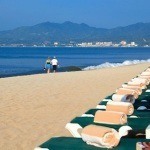 Share the post "Top Spa at Villa del Palmar Flamingos, Nayarit, Mexico"